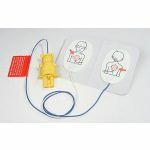 For training many people simultaneously, HeartStart AED Trainer 2 is a more flexible and economical solution. 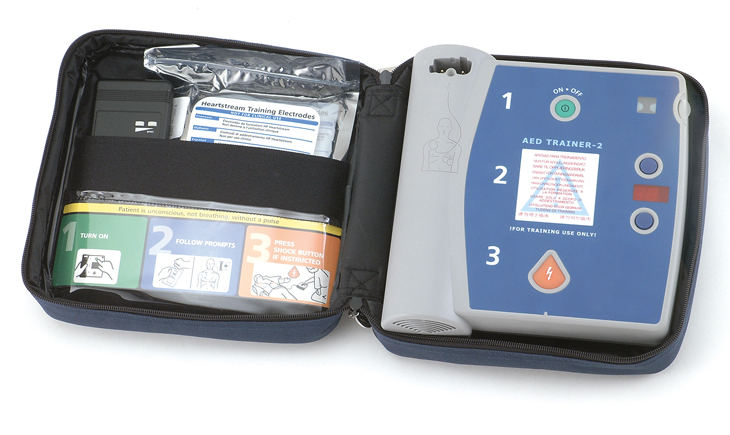 AED Trainer 2 helps your responders learn to use FR2-series defibrillators in simulated sudden cardiac arrest episodes for an extremely realistic training experience. 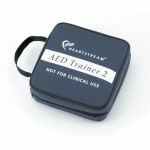 AED Trainer 2 looks and behaves like the FR2-series defibrillators, but cannot deliver an actual defibrillation shock. 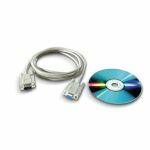 The HeartStart AED Trainer 2 is pre-configured with 10 realistic scenarios developed in accordance with internationally recognized emergency responder training programs. Instructors can also design and configure three custom scenarios. 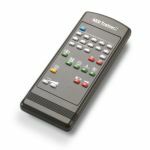 Training scenarios and speaker volume can be controlled via the up/down keys or remote control. Pause/resume feature allows the instructor to manage the learning experience and test students’ response to a variety of situations. Dimensions: 8.5" x 8.75" x 2.5"
Requires six "C" cell batteries, not included.